St. Joseph Parish actually pre-dates the existence of the Diocese of Cleveland having originally been under the Diocese of Cincinnati. Cincinnati would send the Reverend Vincent DeRaymacher, a Dominican Priest to care for the needs of the Catholics in the area. Officially, the Diocese of Cleveland lists the founding of St. Joseph Parish as being in 1831. 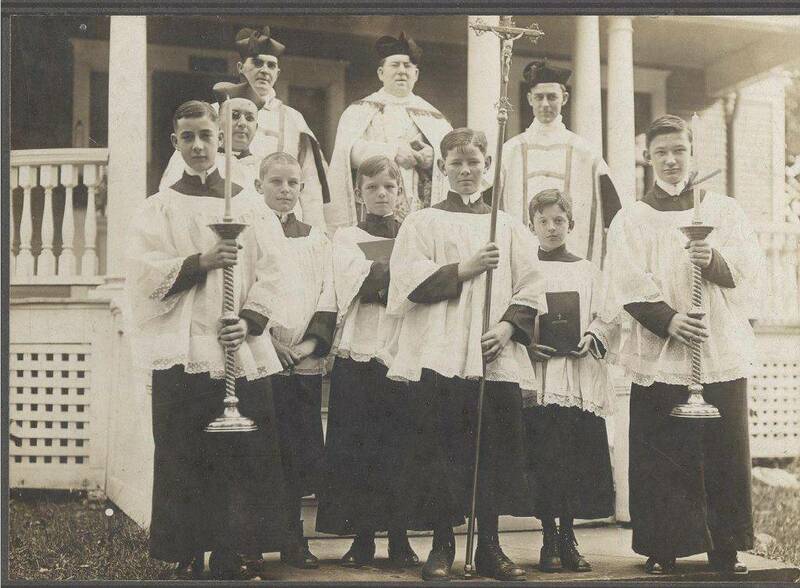 By 1835 Cuyahoga Falls’ Catholic families received visits from the Rev. 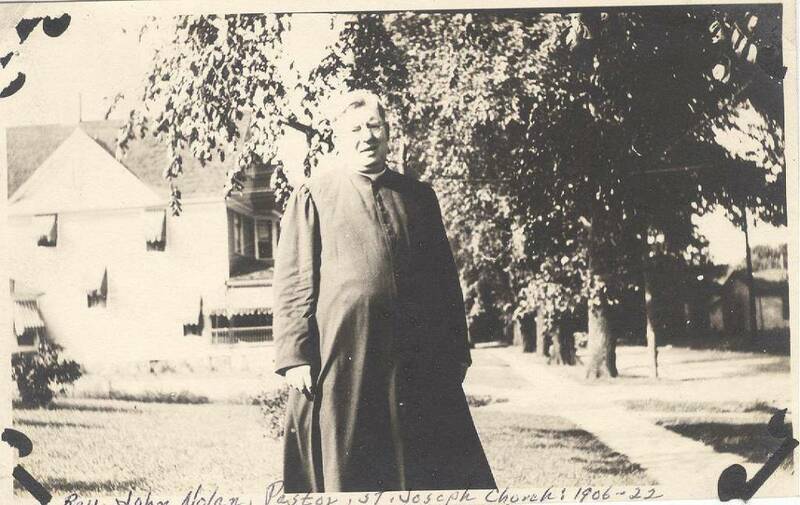 John Dillon, who was the first resident pastor of Cleveland at St. Mary’s in the flats. 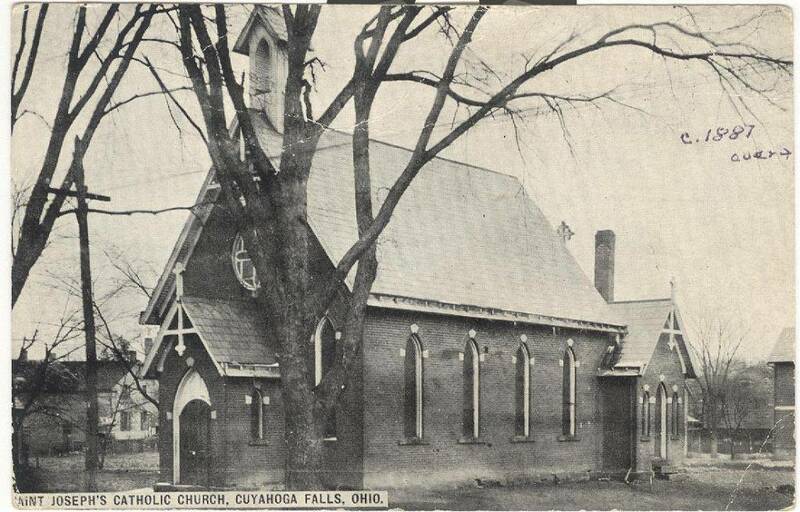 Starting in 1867 Cuyahoga Falls was made a mission of the Hudson parish of St. Mary’s and in October 1883 Father Patrick Barry, the resident pastor, purchased the land at the corner of Sackett and Second Streets for building a church. The 30 ft by 60 ft mission church was completed in 1887 at a cost of approximately $2,000.00 and was dedicated to St. Joseph on June 19 in the same year. The parish had twenty Catholic families at that time. Due to the growth of the parish, Pastor John Nolan started making plans for a new, larger Church, estimated to cost $13,000.00. It took several years to raise the funds. The new church was built in 1912 and was dedicated on September 13, 1913. St. Joseph Parish continued to grow and serve Catholic families in the Cuyahoga Falls, Stow, Munroe Falls, and Tallmadge areas. There were so many Catholics that new parishes sprung up in the area served by St. Joseph including Our Lady of Victory in Tallmadge in 1944, Holy Family in Stow in 1946, Immaculate Heart of Mary in Cuyahoga Falls in 1952, and in 1962 the establishment of St. Eugene Parish. St. Joseph continues to serve our Roman Catholic Community. We are a vibrant, traditional, Roman Catholic Parish with an Elementary School. May St. Joseph continue to guide and lead us as we continue our mission.